A light show! Overlooking Lake Superior. 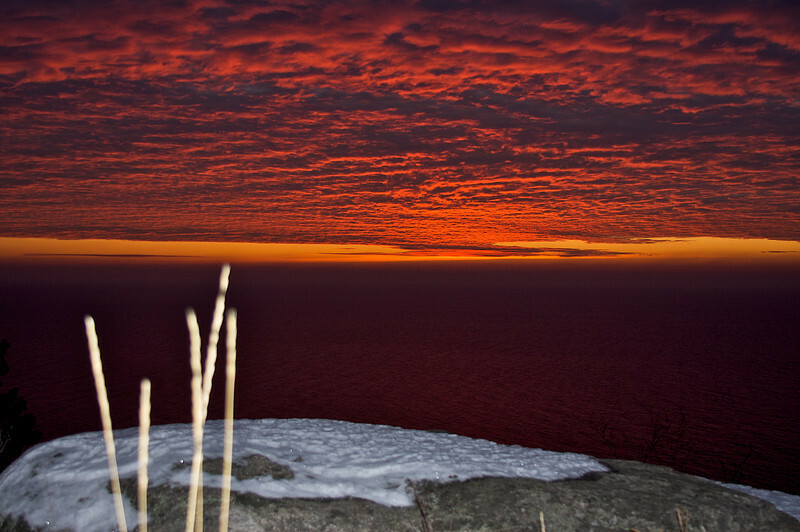 This is sunrise from the highest point in Split Rock Lighthouse State Park MN. I camped down below, leaving my tent by cross country ski 90 minutes before sunrise.